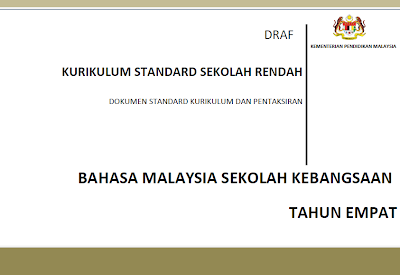 Teachers now can find latest Dokumen Standard Kurikulum dan Pentaksiran or DSKP Year 4 for SK and SJK. For your information, the new Dokumen Standard Kurikulum dan Pentaksiran for Year 4 seems to be a combination of both Dokumen Standard Kurikulum and Dokumen Standard Prestasi which we are having for Year 1 to 3 now. Teachers who wish to view and download the DSKP Year 4 for references or next year preparation, please find the links below or click more. We are now in the process of adding.